BLURB- : A collection of five tales,Secrets,Sins & Struggles is about the lives and loves of five women, tracing their long, eventful journeys that are anything but linear. Meet Pooja, a teenager forced into the flesh trade but determined to escape and get justice. Shrawani who dreams of becoming a bureaucrat despite all the trials life throws her way. Avni who is torn between her childhood friend and her brand-new boyfriend. Harsha who is trapped in a loveless arranged marriage while still being haunted by thoughts of her forsaken lover. Geshna who falls head over heels for a high school sweetheart only to find her own life shrinking to accommodate his. These stories are about the odds stacked against women in their path to love and success. They are also about hope that the next turn will lead to the happiness and success they all long for. 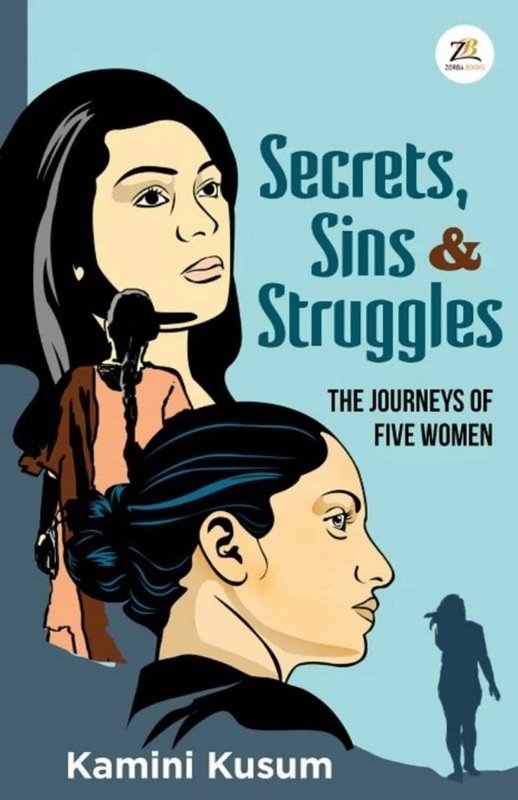 REVIEW- Secrets, Sins & Struggle is collection of Five stories which focuses on journey and ups and downs in the life of 5 female protagonists in each story. This book touches your heart with a rather simple writing and powerful plot. I received this book from Kalamos Literary Services in exchange for an honest and unbiased review. Book title is catchy and apt with the content. Cover is appropriate but could be improved in next edition. Blurb is short and discloses the content. Language of the book is simple with smooth narration , you can read the book in one sitting in 2-3 hours. Though all the stories are of 50 or something pages, Kamini artistically portrays her characters. I liked that the author kept character development upto main protagonists only as the stories revolves only around them. All the five stories are different from each other but follow the same theme that is all the protagonists fight with averse conditions to change their lives. All five stories are fast paced. I liked the powerful storytelling skills which binds all the readers with the book. 1. Stories were little predictable. 2. Author could have made stories emotionally strong for a more gripping read. Over all, Secrets, Sins & Struggles is one of the few novels which revolves around female characters only. With fast paced and gripping stories, it inspires you to fight for yourself.